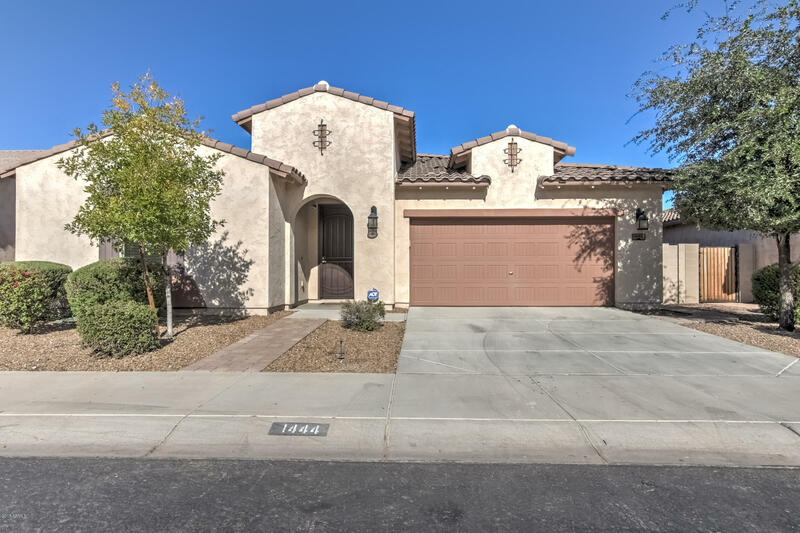 All VILLAGES AT VAL VISTA PHA homes currently listed for sale in Gilbert as of 04/19/2019 are shown below. You can change the search criteria at any time by pressing the 'Change Search' button below. 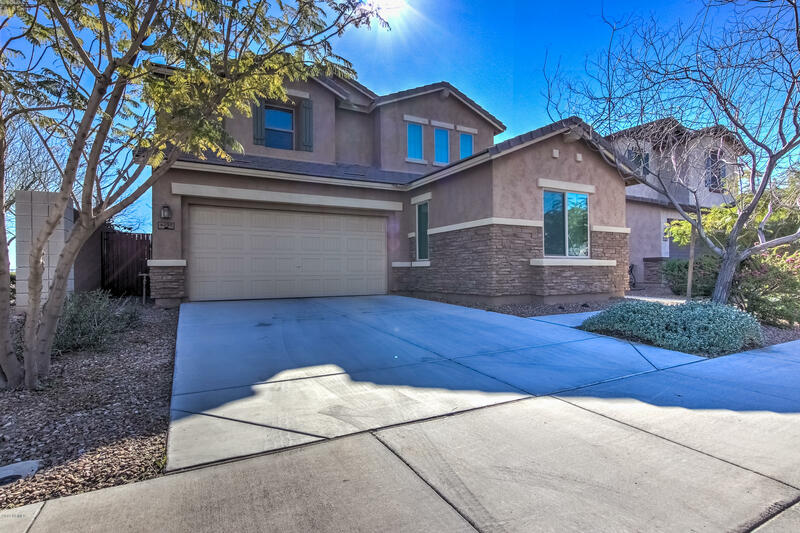 "Beautiful two-story nestled in the Villages at Val Vista with a little over 3,600 sqft of living space! This home welcomes you to a formal dining room with tile and carpet flooring, custom color scheme, and a laundry room with utility sink. The living room is off the kitchen creating the perfect entertaining space. Rich wood cabinetry, granite countertops, stainless steel appliances, and an island/breakfast bar. Upstairs you will find a spacious loft that could be used as a game room, home offic"
"You have to see this gorgeous back yard! Quality-built by Meritage in 2012, this energy efficient home had an estimated HERS rating of 61 when built. The master suite is split from the other bedrooms and features two separate sinks and separate shower and tub. Two of the other bedrooms also include walk-in closets. When it's time to entertain, guests will feel like VIPs with a gorgeous formal dining room, a well-designed kitchen that includes a large island and pantry, a breakfast nook for casu"
"Welcome to your new home! This home is unique, as there is only one other model match in the community. The layout of this home allows for functional living with separate living space for older children, parents, grandparents, or playroom! There is a full laundry room upstairs, and an additional washer/dryer hookup downstairs. 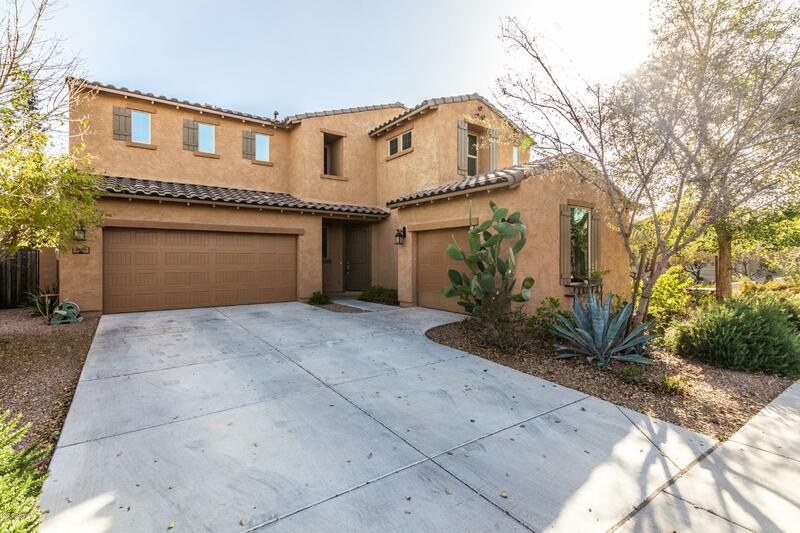 This home was built with some special amenities including: roll out drawers in the kitchen cabinets, plumbed for a water softener, alarm ready (never used), extra oven, an"